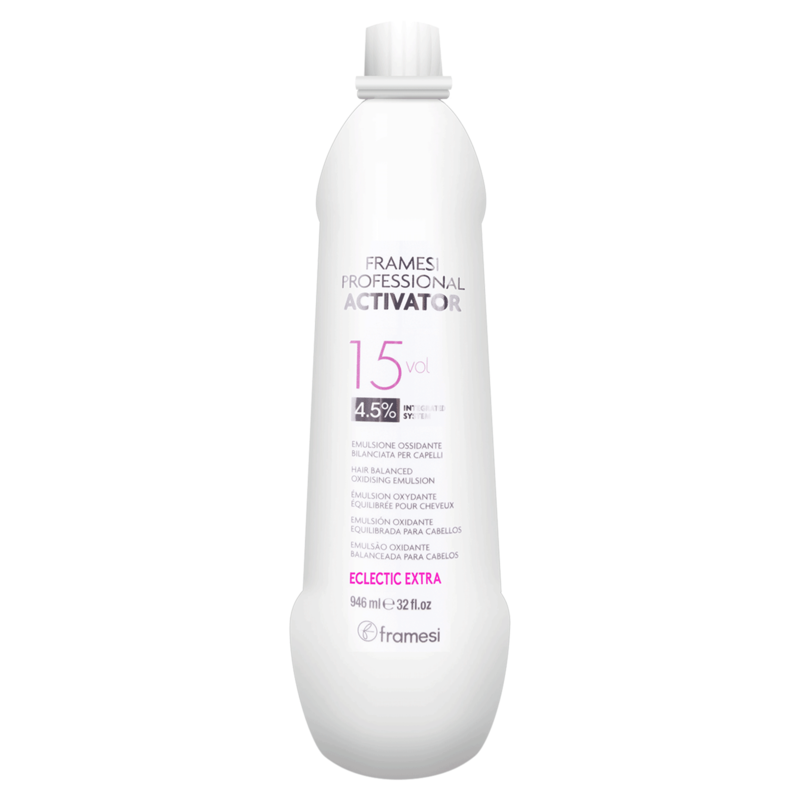 Framesi Professional Activator 15 Volume - Hair Balanced Oxidising Emulsion. Rich, liquid-cream developer features an Integrated System of ingredients and technologies that, when mixed with framesi haircolor, allow the color molecules to penetrate deeper into the cortex for a more perfect and gentle color service with moisture, condition, protection and a longevity unlike ever achieved before. Framesi developers are made to go hand-in-hand with Framesi haircolor and lighteners. Framesi uses quality ingredients such as vegetable coconut oil and conditioning agents which help to create incredible shine, condition, protection and longevity. Not all developers are created equal!